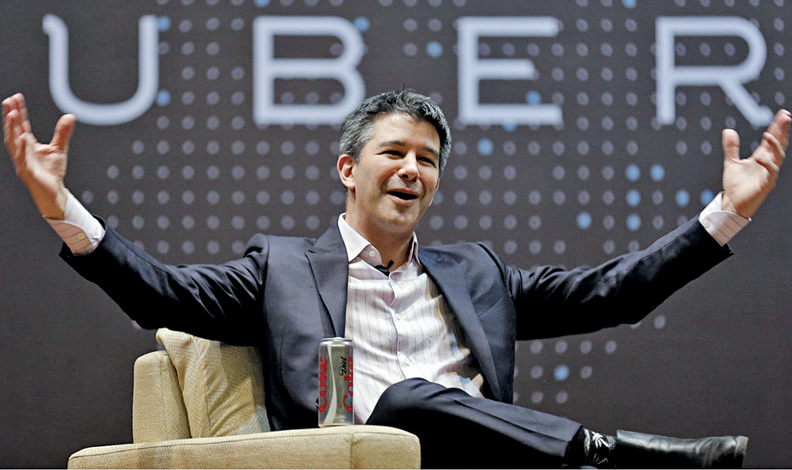 Kalanick: Fight with Uber driver was the beginning of the end. Young companies have their share of growing pains. And fast-growing, young technology companies can have more than their share. And Uber Technologies? Let's just say 2017 probably wasn't indicative of more mature years to come. Travis Kalanick, the ride-hailing company's visionary founder, was caught on video in February arguing heatedly with one of the company's drivers. Embarrassed when the public display went viral, Kalanick told his 11,000 employees in a letter that he "must fundamentally change as a leader and grow up." But worse events rendered his contrition moot. By June, Kalanick was forced to resign amid allegations that Uber's corporate atmosphere was toxic, with sexism and sexual harassment. Twenty employees were fired over the issue. As if to drive home the point, at a board meeting to discuss the sexism crisis, Uber director David Bonderman greeted the issue with a sexist one-liner that resulted in backlash and his own resignation. In May, Reuters reported the U.S. Justice Department had opened an investigation into Uber's use of a software technology called Greyball. Officials in Portland, Ore., also investigated. The software allegedly allowed the company to identify local government officials in locations where Uber was not permitted to operate, such as Portland, and prevent them from summoning an Uber vehicle. According to a report in The New York Times, drivers could use Greyball to skirt local investigators who might be trying to determine whether the company was operating in the market illegally. Uber issued a statement saying it will not use the software anymore. Subaru then ruled itself guilty of the same goof. The automaker said in November that it would recall almost 400,000 vehicles in a similar inspection-process flap. Subaru learned that for nearly three decades, final inspections of vehicles at its assembly complex in Gunma, Japan, sometimes had been performed by inspectors who were not properly certified. Subaru estimates that cleaning up the improper inspections will cost it $177 million. Not to be out-scandaled, Japan's third-largest metal supplier, Kobe Steel, revealed that its inspection employees faked quality data on aluminum and copper parts supplied to more than 500 customers. The activity, which may have been going on for a decade, allowed Kobe to claim that materials met specification requirements when they did not. The deliveries went to Toyota, Daimler, Ford, Nissan, Renault, Honda, Hyundai, Mazda, Tesla and others. Automakers, as well as Kobe customers in the aviation and bullet-train industries, began combing through data to see how they might have been affected. By year end, Kobe faced a consumer lawsuit in Canada and was appealing to lenders for about $440 million to sustain it through the crisis. It's bad enough for the UAW that it lost a third campaign to organize a Nissan factory. But there were worse things for the union this year. In August, workers at Nissan's Canton, Miss., plant, where organizers have spent years attempting to win favor, soundly rejected the union. It surely didn't help that on the eve of the worker vote, the lid blew off one of the worst scandals in the UAW's history. Investigators told a sordid story of embezzlement and payoffs involving a Fiat Chrysler labor relations executive and UAW officials in Detroit. The scandal centered on $4.5 million in misappropriated worker training funds. Investigators tracked alleged gifts of cash, jewelry, credit card transactions, a $350,000 Ferrari 458 Spider and designer clothes, as well as bogus payments to a Detroit children's charity. The investigation is ongoing. Constructing an auto assembly plant is nothing to take lightly. The due diligence, planning, infrastructure needs and training preparations take months, or even years, to line up. So when Chinese EV startup Faraday Future said in 2015 that it would invest $1 billion to build its first U.S. auto plant, near Las Vegas, Nevada officials were quickly at their side with $335 million in state incentives. But after two years of stalled efforts and a cloudy financial outlook at Faraday, the venture changed its mind this year and walked away from the Vegas project. Company officials said they instead will use a former Pirelli tire factory south of Fresno, Calif., leaving Nevada officials empty-handed and red-faced. In September, The Nevada Independent reported that Faraday sent the state a check for $16,200, representing the amount of the incentives it said it had spent to date. Stefan Sommer launched ZF Friedrichshafen into a new era over the last few years, transforming ZF from a gear and axle maker into a technology supplier for autonomous vehicles of the future. 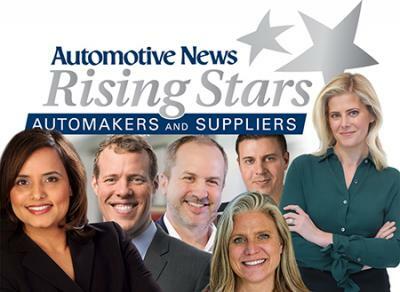 Sommer's celebrated leadership made ZF the world's second-largest supplier, thanks to his 2014 acquisition of U.S. supplier TRW Automotive. But not everyone was on board with his vision — most notably, Andreas Brand, the mayor of the small town of Friedrichshafen, Germany, where ZF's home office resides. In addition to being mayor, Brand is head of the Zeppelin Foundation, a nonprofit that happens to own 93.8 percent of the auto supplier's stock. Unhappy with the debt and high-stakes maneuvering involved in Sommer's ongoing ZF transformation, Brand flexed his board muscle this year, ushering a new chairman in and Sommer out. 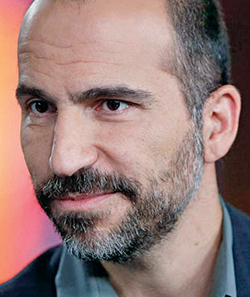 In November, new CEO Dara Khosrowshahi revealed that Uber had concealed for a year that hackers had stolen the personal data of 57 million customers and drivers, including home addresses, phone numbers and email addresses. Rather than report the theft, Uber paid the unidentified hackers $100,000 to delete the stolen data and keep the breach a secret. According to a blog post from Khosrowshahi, the two security managers who made that decision "are no longer with the company." Protocol mishandling was a common theme in the industry this year. The 2016 scandal involving falsified fuel economy claims by Mitsubishi resulted in that automaker being taken over by Nissan Motor Co. But this year, Nissan's own fingers were scorched when it admitted violating its internal quality inspection protocols. While the specifics sound a bit like a tempest in a teapot — inspectors who were certified to work on one assembly line were inspecting cars on a different line, for example — new Nissan CEO Hiroto Saikawa went ballistic. Saikawa ordered the recall and reinspection of every vehicle made in Japan over the last three years for the local market, more than 1.2 million of them. 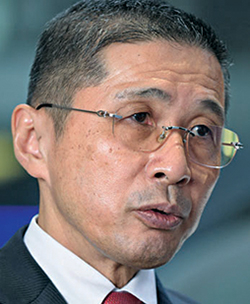 By way of apologizing, Saikawa bowed out as chairman of the Tokyo Motor Show in October and said he and other Nissan executives would return part of their salaries for the year. Watching a newborn colt rise on its wobbly legs — that could have been the inspiring sight of Tesla this year, transitioning from low-volume, high-priced luxury electric vehicles to mass production of its new Model 3. Instead, the launch was more or less a face plant. CEO Elon Musk had already Z-snapped the naysayers, insinuating it would be a piece of cake. He claimed his California assembly plant would turn out 1,500 cars in the first three months. Instead, it built only 260 cars in that time. Musk blamed his suppliers for bottlenecks. He had targeted a production rate of 20,000 a month by the end of December. That rate likely will occur in 2018, the company insisted.